Specializing in manufactring and exporting a wide selection of air pumps, UNOAIR is a leading brand in Taiwan. 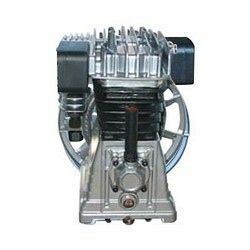 Our air pumps fall into 3 categories, such as UH series singe stage cast iron pump, UB series singel stage cast iron pump and UT series single stage cast iron pump. With advance and innovation of technology, we are confident to provide patrons with the most cutting-edge, durable and reliable products at a competitive price. What's ever better, our air pumps series are CE and ISO-9001 approved. Quality, professionalism, and after-care service are our top priority. Are you searching for a lasting business associate? UNOAIR is definity your best choice. MODEL MOTOR Cylinder Max Pressure RPM Air Displacement L x W x H N.W.